“Think big and one day you will create big” a professor once told Vinnie, and it has stuck with him ever since. Vinnie Gonzalez attended Virginia Commonwealth University and graduated with a BFA in theatre. While attending VCU, he had the opportunity to take several art classes that helped influence him to pursue art and “think big.” Having found a new medium in which to explore his creativity, Vinnie became intent on finding a way to create pointillistic paintings without using brushes. It wasn’t long before he stumbled upon Jacquard’s applicators and tips, which allowed him make the type of marks he had in mind. Each dot was controlled, each point exactly where he wanted it. Until one day, just a few years ago, he decided to let the paint find its own place to live. “I found myself less worried about mistakes and more explosive with the paint. Less control, more abstract,” he explains. 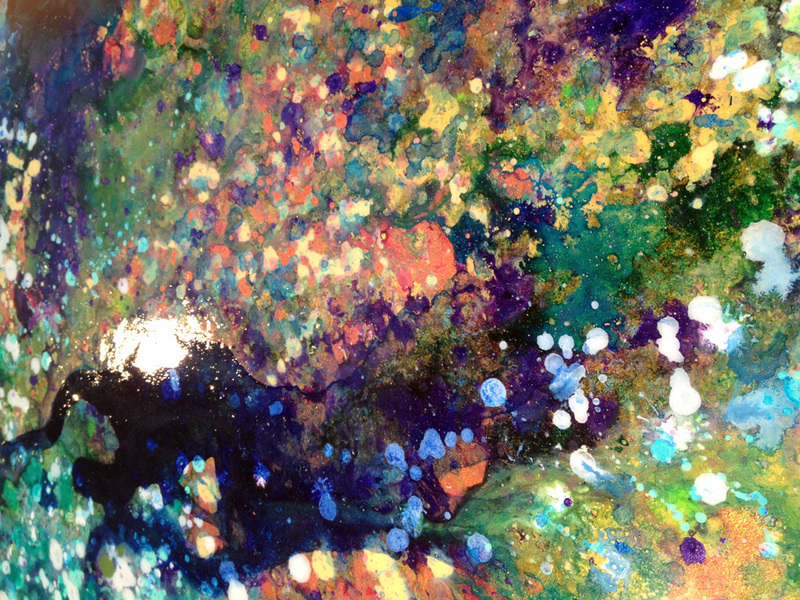 Channeling this feeling of “explosive” creativity and expressiveness, Vinnie began making much larger paintings, using metallic paints and pearlescent powders, to dynamic effect. Especially in person, the scale of the work in contrast to the minutia of Vinnie’s pointillistic marks allows the artist’s intent to erupt off the surface of the canvas. 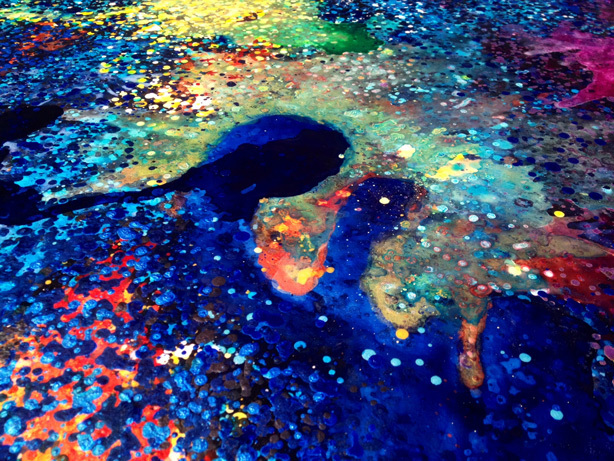 The paintings are large dramas composed of small, reflective, expressive and freeing moments.